Ajay Bhalla is in the business of predicting the future. His mission for the last four years has been almost inconceivable: to guarantee the security of more than 70bn transactions processed every day. But sitting in his minimalist office in Canary Wharf, Mastercard’s 52-year-old global head of cyber security looks anything but stressed. The tall executive – who sports an impressive moustache – is soft-spoken and quick to smile. After all, most of the heavy lifting is being done by artificial intelligence. Mastercard’s obsessive drive to stop hackers with predictive technology has already produced results, he claims. 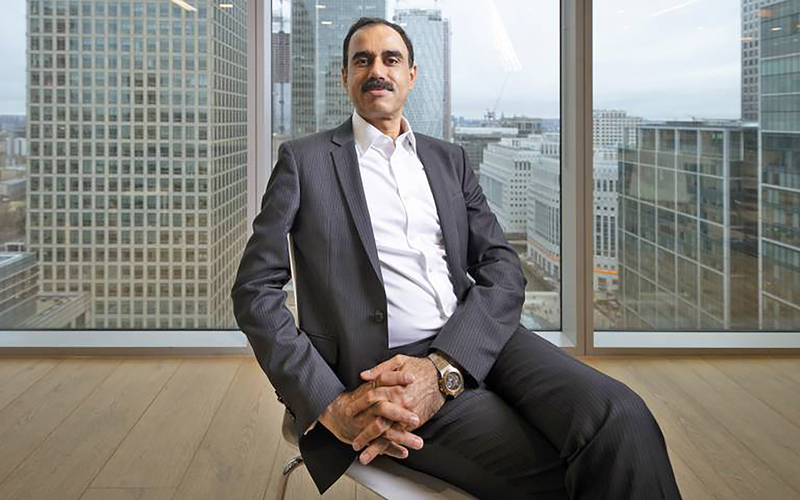 “It has to date stopped $5bn (£3.9bn) in fraud, not to mention consumer pain,” says Bhalla. The objective is to develop a system so impermeable that hackers simply can’t figure out how to break into it – something he has worked on since he took the role in 2014. This hasn’t always worked. Take the Equifax data breach for example, when more than 200,000 customers’ Visa and Mastercard details were leaked. Both companies were forced to issue confidential warnings to banks to avoid large-scale fraud. However, Mastercard itself has managed to avoid becoming a victim of hackers because its AI provides layers of security, not just one firewall, and is able to remotely identify and plug potential security gaps from devices such as smartphones or Internet of Things-powered devices, says Bhalla. Unlike many other security heads, he does not believe in investing in ethical hackers to test a network. In fact in his world, they are rather passé. Bhalla comes across as more of a technology expert than a security buff. The Mastercard veteran has worked around the world, spending eight years in Singapore – “the golf courses are magnificent” – and now a stone’s throw from Citibank and Lloyds in London. His prediction is that the future of financial services will be in AI and securing payments with biometric technology, using fingerprint and face scanners. The latter is something Mastercard is investing heavily in. Late last year, Bhalla’s company entered into a partnership with Microsoft to develop a “digital identity”, the online equivalent of a passport that would allow people to verify their identity on email, social media and government services. This could replace documents including driving licences, passports or national insurance numbers. The launch has had mixed reviews. It was branded “the biggest threat to our privacy yet” by critics, who are concerned about the increase of personal information private companies could wield. This digital ID system is currently being piloted by Nigeria to offer government services and e-payment systems to 13m people. The UK has yet to launch a widespread digital ID scheme of its own, although Margot James, the digital minister, has previously said she is in favour of electronic IDs that could speed up public services online. Bhalla believes it’s only a matter of time before every country invests in some form of this technology. Mastercard’s biometric technology will be used by millions of people in April 2019, as banks roll out payments online and in store that can be approved by customers’ fingerprints or pictures of their faces, rather than a pin number or password verifications. His team is also planning to release technology to check identities faster and stop false credit card declines, a huge problem for the financial services sector. According to UK Finance’s latest figures, banks managed to stop £2 out of every £3 of fraud in 2017, but it still caused £732m losses. Efforts to block fraud have caused headaches for customers – and by extension, for Mastercard. Bhalla points to some markets in the world that suffer almost 50pc of declines every time they use a card.